Full disclosure: As a redhead with an Irish grandmother, I’m a big fan of St. Patrick’s Day. BIG. 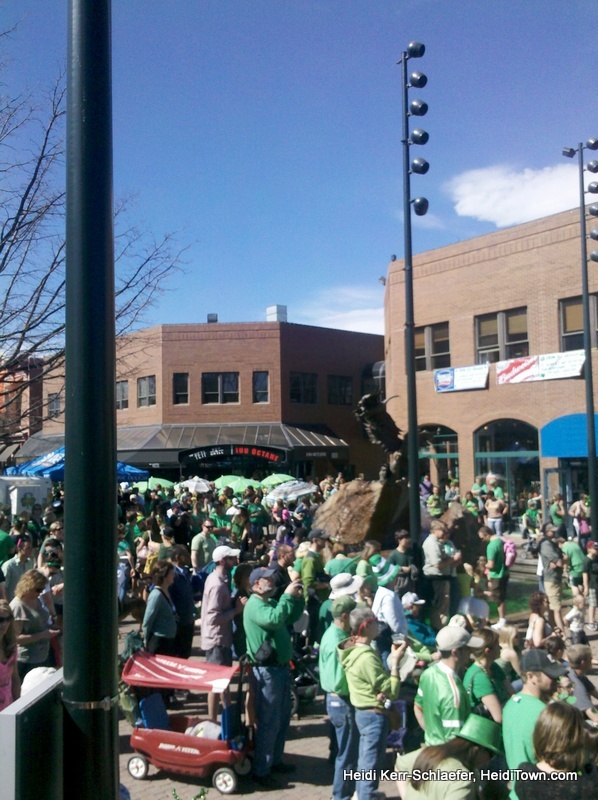 Last year I finally attended the Lucky Joe’s St. Patrick’s Day Parade in Fort Collins, Colorado, and it’s a heck of a good time. 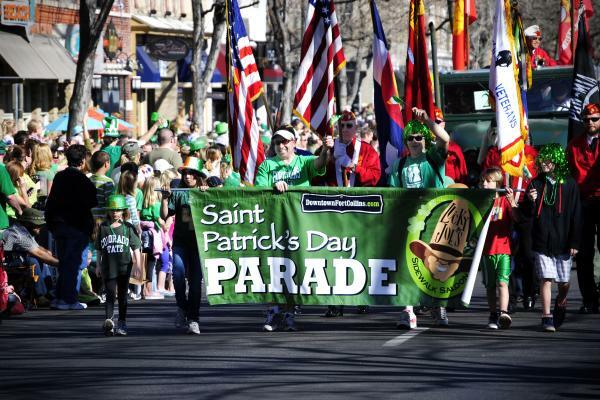 This is one of Fort Collins’ biggest parties of the year, with half the town coming out to witness the huge parade and after party in Old Town Square. 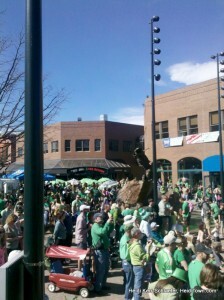 Downtown Fort Collins literally becomes a sea of green, including the beer. 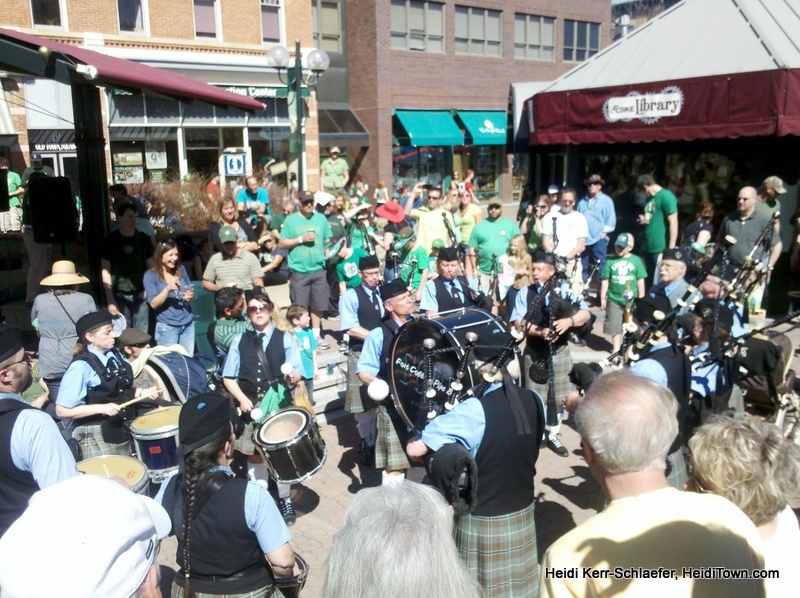 When we arrived in Fort Collins last St. Patty’s Day, Ryan and I were amazed to find the streets full of parade fans, and for good reason. It’s a premiere parade, with participates sticking with the theme of green, green, green. The streets get full, so get there early to find prime parade watching territory. Families, college kids and leashed dogs all come together to celebrate one of my favorite holidays of the year. The best part of this event, aside from the parade, are the bands that play in Old Town Square. 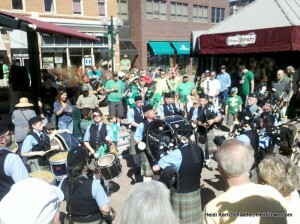 Fort Collins keeps it authentic with Irish bands and pipe bands. 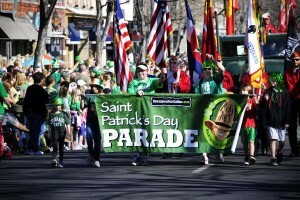 This year, stick around after the parade, stick around downtown to enjoy music with Irish bands such as Gobs O’Phun, The Commoners and TribU2, a U2 Tribute band. 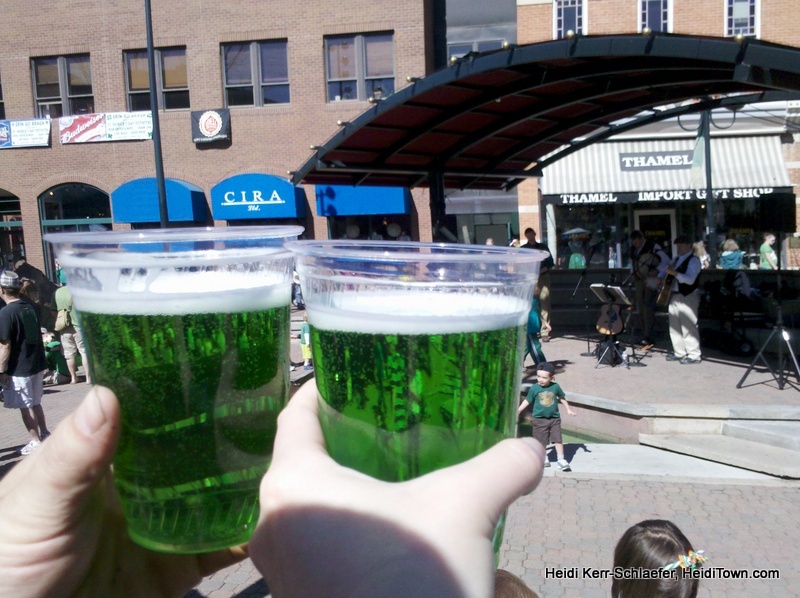 Guinness will be flowing along with Odells and green beer in Old Town Square. In addition you’ll find Irish food, green cotton candy, Bailey’s Irish Cream and Jameson Whiskey. 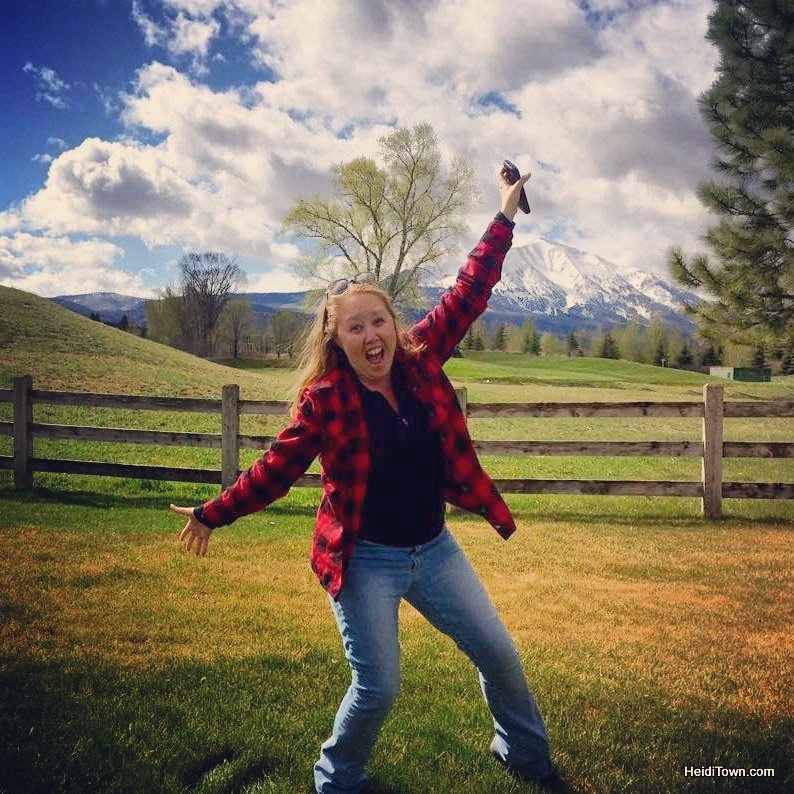 I’m not normally a fan of green beer, because it’s weird and not authentically Irish, however, last year we indulged and enjoyed our green beers. This year the parade features over 80 floats and Colorado State University’s own Dr. Temple Grandin is the parade Grand Marshall.